You’ve got a bicycle. Maybe several. You want to take it somewhere by car. It won’t fit in the boot. Sounds like you need a bike rack. The good news is that there are plenty of types of bike rack to fit almost any vehicle. The bad news is that the choice is so wide, that it can take some research to find out what’s best for your bikes and your car. This article will help you refine your search. 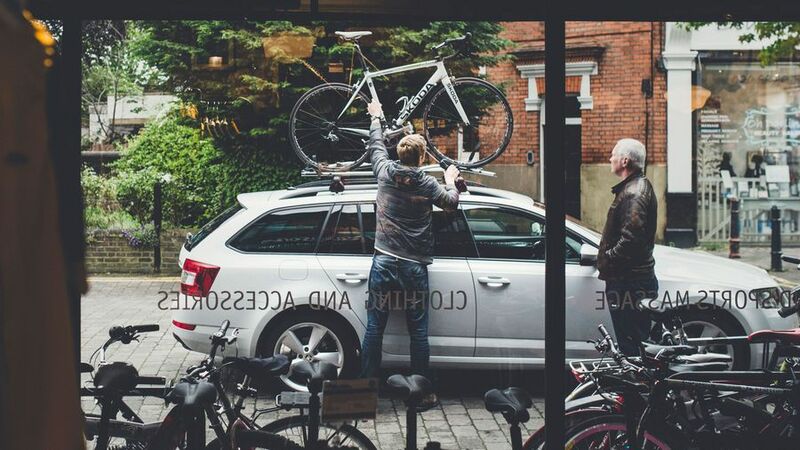 The most common locations for bike racks are on the boot lid, on a towbar, or on the roof. 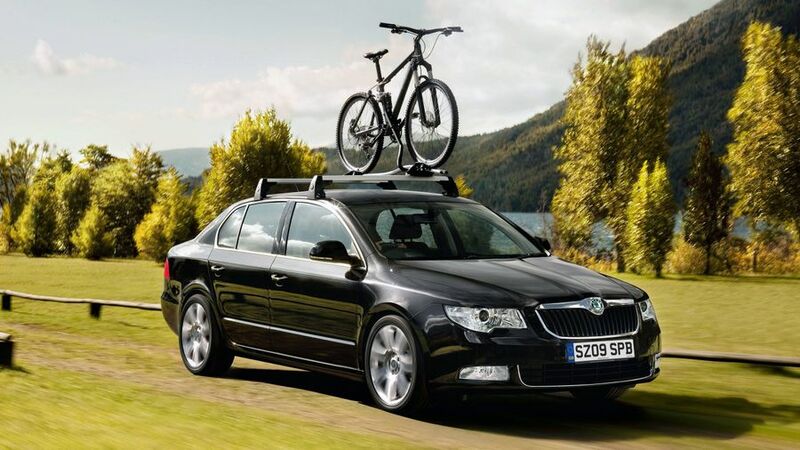 If your car can have roof bars fitted, then you’ll have plenty of choice of racks that can attach to them. Some require you to remove the front wheels, so keep in mind that you’ll need to store them inside the car unless you’re really good at wheelies. Keep in mind, too, that you’ll need to be able to lift the bikes onto the roof so think carefully if you’re short, or you have a tall car. If you don’t have roof bars, or you regularly need to access areas with height restrictions, then perhaps a boot mounted rack would be better. Plenty of racks attached to the boot with straps, and are generally the cheapest option, although they’re more likely to cause damage to the car if you’re not careful with the fitting, and they’re less secure too. You can also get racks that attach to a towbar, if you’ve got one fitted. These are easier to fit and remove, and keep bikes more secure both while driving and when parked, but tend to be more expensive. Towbar mounts tend to either hang the bikes from the crossbar/top tube, or have a platform that the bikes sit on, which are then secured at the top. The latter type are generally more secure, but are more expensive. With any rear mounted rack, you’ll also need to ensure that your rear numberplate and lights are visible. More on that below. Keep in mind also that, once fitted, they can make access to the boot difficult, although some towbar racks can tilt to let you open the lid. Once you’ve decided where the bikes should go, you’ll need to decide how many bikes you’ll need to carry. It’s relatively straightforward to carry up to four bikes using off-the-shelf racks, but there’s no point spending big on a four-bike rack if it’s only you that rides a bike. 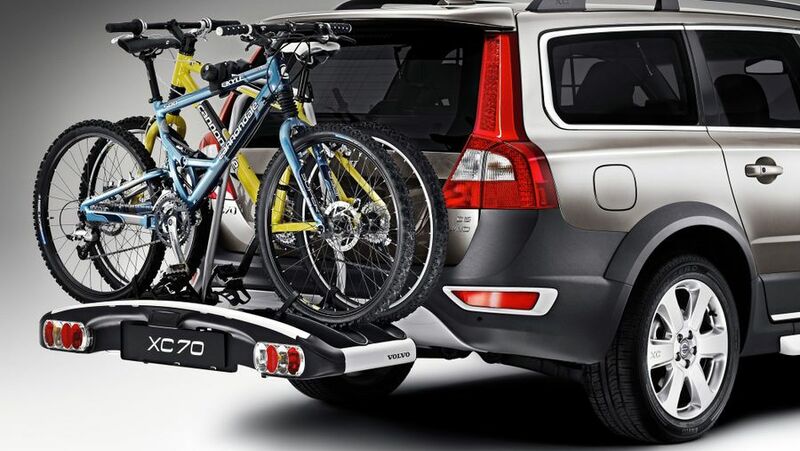 First things first, check to see if the manufacturer of your car already offers a bike rack designed to fit it. Many manufacturers will have options within the official accessories range, although these may come from a third party. These vary in type and price, but that will mean it’s likely that one will fit your budget and bike type. There are plenty of companies offering boot-mounted, strap-on racks, but increasingly you’ll need to check that they’ll fit your car. Individual firms will usually have a feature on their websites enabling you to check, and retailers will also be able to help advise you. Some cars – such as some sports car – won’t have roof bars, a tow bar or a boot that can fit a strap-on rack. Don’t despair though, as you can get racks that attach to the roof with industrial strength suction cups, from companies like Seasucker or Rockbros. If you’re aiming to spend as little money as possible, then a universal, strap-on rack will probably appeal the most, and many of these will do the job perfectly well. But we’d advise spending as much as you can on a bike rack, especially if your bikes are expensive. 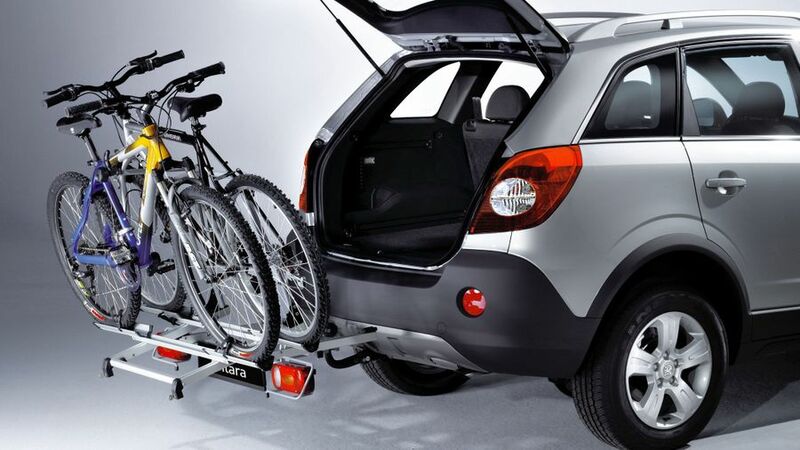 The more you spend, the more securely the rack will fit your car, and the less likely your bikes are to fly off on the motorway, rub against each other (or the car) while on the move, or be stolen while the car is unattended. Some bike racks are designed for every type of bike, but others will have limitations. We’ve seen some racks that can’t cope with bikes fitted with mudguards, or with particularly wide tyres, such as found on mountain bikes. Make sure you check that your model of bike will work with the rack you’re considering. 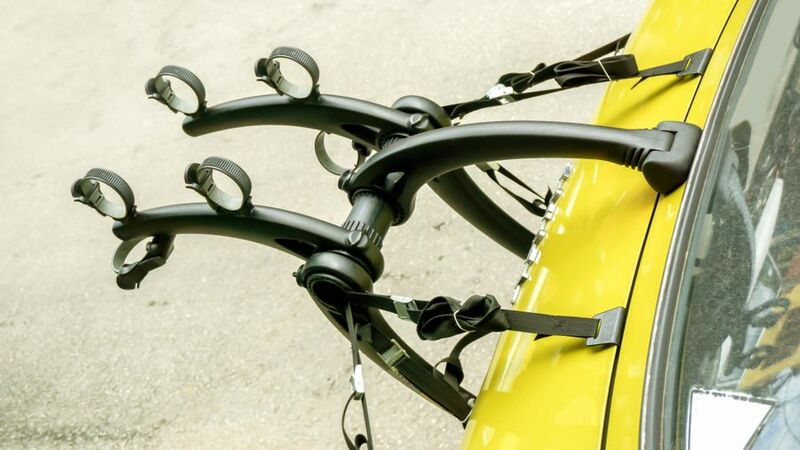 Some roof-mounted racks require you to remove the front wheel and attach the forks to the rack using a quick release system, so make sure your bike supports this. If it uses thru-axles or bolts, it may be incompatible. If you mount your rack on the back of your car, make sure your rear number plate and lights are still legible, because you’ll be flouting the law if they’re not, even if you can see them through the wheel spokes. Obscure them and you’ll points on your licence, and a fine that can run into thousands of pounds, so don’t take the risk. To get around this, you can strap a lightboard onto the bikes or the rack itself. This will have a number plate fitted and acts as an extension of your rear lights, brake lights, indicators and reversing lights. You can plug this into the electrical socket of a tow bar, if you have one, or get a connector installed in the back of the car, which shouldn’t cost the earth. Some towbar mounted racks will have a lightbar built into them. Check for rubbing once the bikes are fitted. If you’re mounting multiple bikes, check carefully that they’re not rubbing against each other or the car, and add padding if necessary, such as an old towel. You don’t want to find damage caused by the vibrations of the journey.